CELEBRATING AMERICA’S FINEST CITY, FEATURING BANDS WHO CALL 91X AND SAN DIEGO THEIR ALMA MATER. 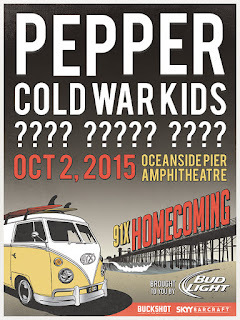 SAN DIEGO, CA – Heritage local radio station 91X has announced the “91X Homecoming” concert, happening Friday, October 2, at Oceanside Pier Amphitheater. 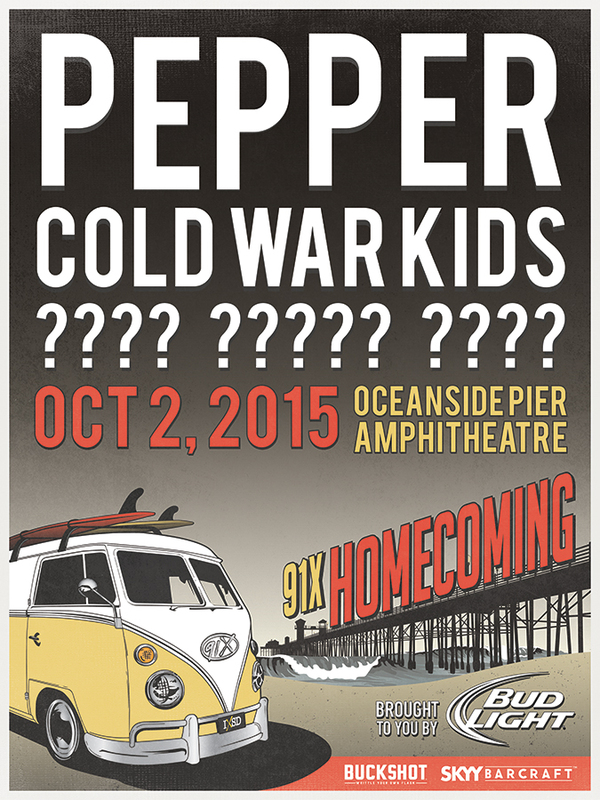 Bands PEPPER and COLD WAR KIDS will perform live, with more to be announced. All artists on the bill will have local ties. 91X listeners who subscribe to station concert text and e-mail alerts are able to buy pre-sale tickets at a reduced price now through Tuesday at 5:00 PM. The public on-sale will follow immediately after. Concert details can be found at www.91x.com.